Let’s Talk Miles City is a live performance created and performed by local teens. It explores the topics of suicide and depression among young people. 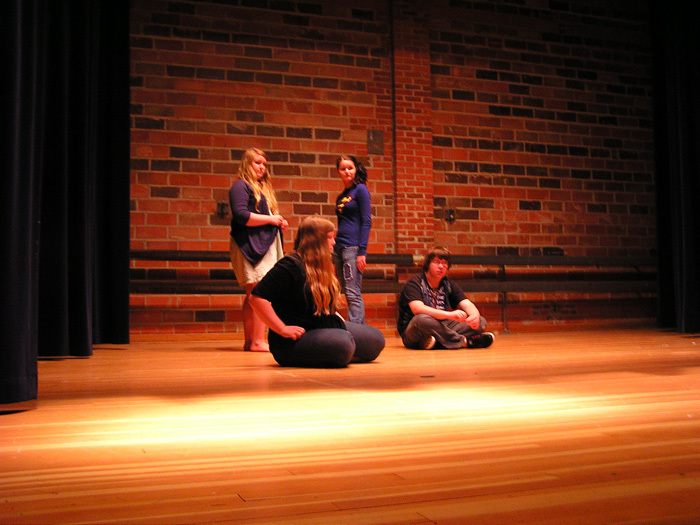 The production is the result of a 2012 summer workshop that introduced Miles City teens to the theater arts. MSUB theater director and undergraduate student Miriam Veltman of Billings spent 10 weeks working with Miles City young people. The resulting live performance aims to provide the community with an alternative form of expression for feelings of suicide and depression. To create the play, teens chose materials relevant to the cause of suicide prevention and also wrote their own works about an issue that is ravaging the entire state. As a team, the teenagers and Veltman created a collaborative piece dedicated to Eastern Montana. The overall message focuses on becoming more aware, speaking up, seeking help or intervening to save your life and the lives of others. The teens truly hope the community is inspired by the performance. A Let’s Talk Miles City reception will be held at the Custer County Art & Heritage Center on Saturday, Sept. 8th, 2012 at 4 pm after the Out of the Darkness Walk. The reception will feature photographs by local teens and a presentation by Dr. Sarah Keller of Montana State University Billings.